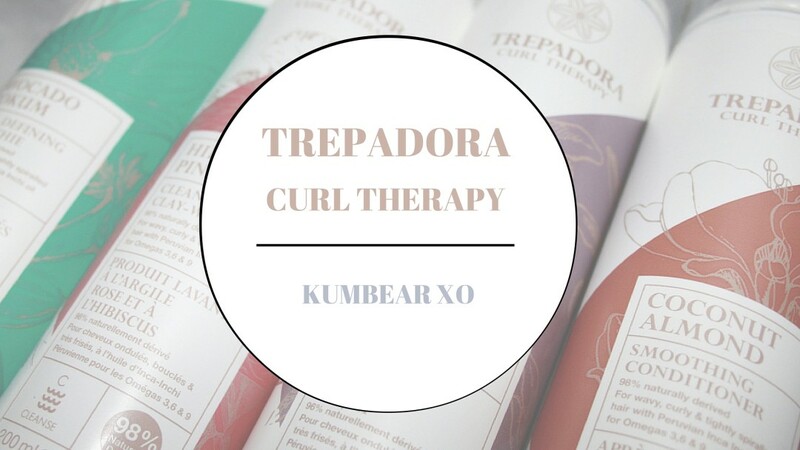 I first came across Trepadora from the British Curlies‘ website (a muuuuust read website for my fellow curly haired gals) who have just launched the full Trepadora range. 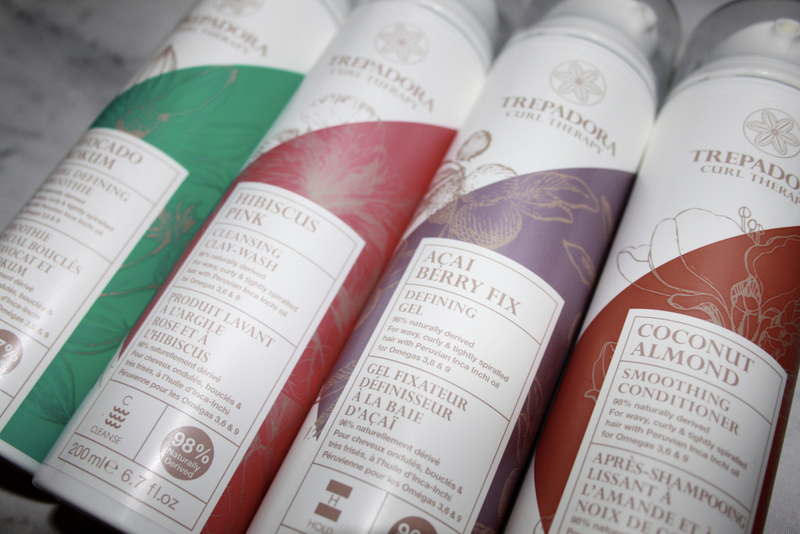 The Trepadora brand is a NEW salon tested hair care range for curly hair which is actually created by the British Curlies’ founder Keisha Jo. 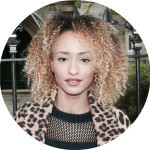 As a contributing writer for British Curlies‘, Keisha has been so lovely to send me their new range to try out. As a regular buyer and reviewer of natural hair products this range is definitely up my street! 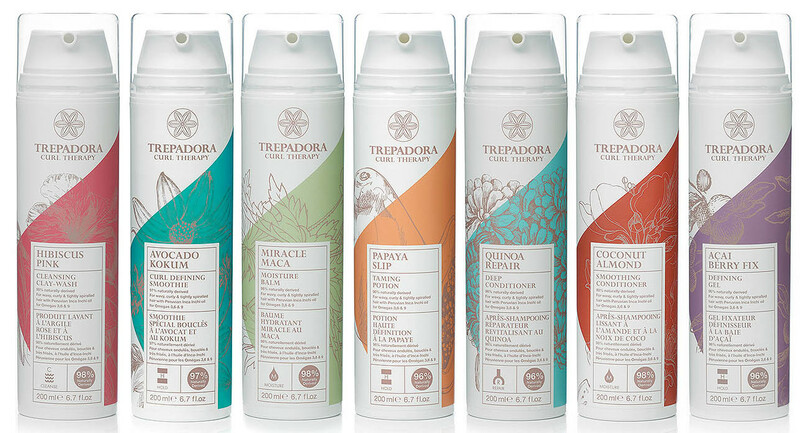 “Trepadora is infused with Inca Inchi Oil which has been used by the natives of Peru and other indigenous people of the Amazon basin for thousands of years. Valued as a superfood, Inca Inchi oil coats the hair and visibly close the cuticle resulting in silky, manageable hair with volume. A truly perfect ingredient for curly hair”. First and foremost I must praise the packaging because it is so beautiful! My first thoughts with new hair products always is about their ease of use as many companies get the simple packaging of products wrong. 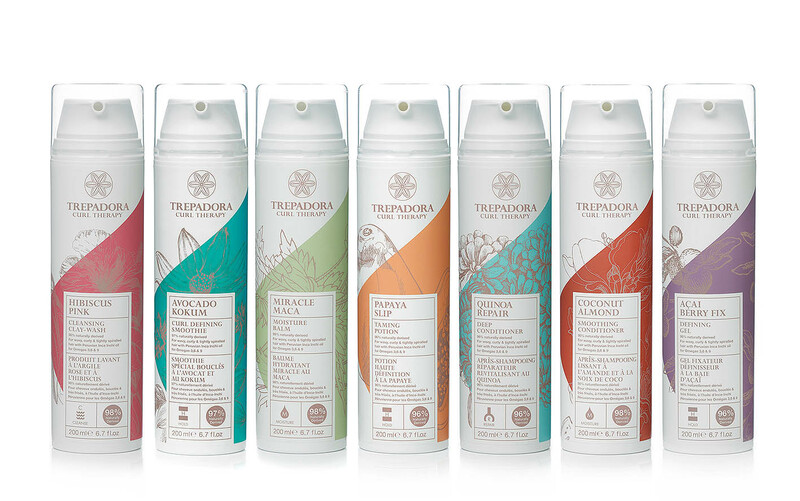 But the design of the Trepadora packaging is very well thought out, each product has a practical pump which allows you to measure exactly how much product you want to use and limits wastage. 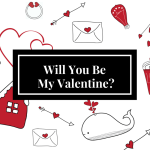 Also I was very impressed by the size of these products they are considerably large and with conditioners and hair masks size is important to me as I go through them so quickly with my crazy mass of hair. The Hibiscus Cleansing Clay Wash is a non-foaming shampoo which is a moisturising alternative to normal shampoo. My hair is very dry which can make it frizzy and unmanageable without the right use of products. I really liked this cleansing clay wash I felt like it throughly cleansed my hair whilst also being one of the gentlest products I have used. The Hibiscus Flower Extract helps fight oxidative stress, combined with a selected blend of Mango Seed Butter, Avocado Oil, Seveov™ Maca Root extract and AQUARICH® Black Oat Extract to further encourage and strengthen beautiful curls. The Trepadora Coconut Almond Smoothing conditioner “works to restore and replenish dry, frizz-prone hair”. This is exactly what the product does, I was very impressed by this one definitely my favourite product out of them all. It is great when used as a co-wash, it left my hair smelling beautiful and my curls moisturised and defined. The smell is also so lovely and coconut oil as the prime ingredient is definitely a winner. 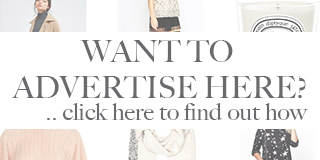 I can really vouch for this one as it is definitely of the highest salon quality. I really like the Avocado Kokum Curl Defining smoothie. 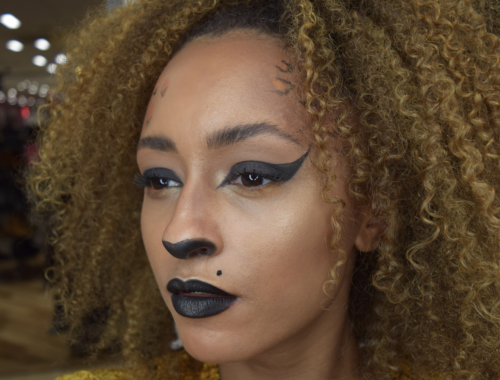 It is a leave in conditioning cream that provides a light-medium hold and definitely helped to shape and define my curls without weighing my hair down. Frizz wasn’t completely gone but it did help to manage my hair when it was snowing outside so I have to give it five stars for that! I used this product about a dozen times now and I am really interested to see what long-term benefits it can have on my hair. I am not usually a big fan of gels, I tend to opt for styling creams but The Açaí Berry Fix Defining Gel provided me with a medium hold which didn’t make my hair stiff or sticky. It is also alcohol-free and the anti-oxidant-rich Açaí berry extract used in this product helps to strengthen your hair and promote growth. 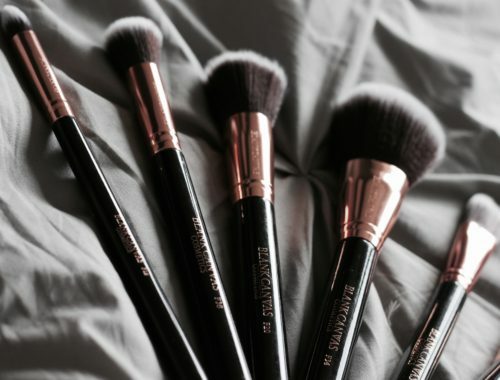 I really loved how this product can be used every day to style your hair but also provides anti-humidity benefits. I am excited to try this product out again in the summer when humidity is my absolute nemesis!